For once, there isn’t a lot I have to say about this past week’s Berserk. Its going well, or rather, as well as the series can go given its circumstances. 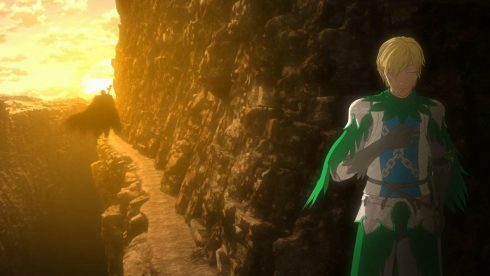 While the production values continue to oscillate between passable and bad, the story seems to be consistently flowing rather well. 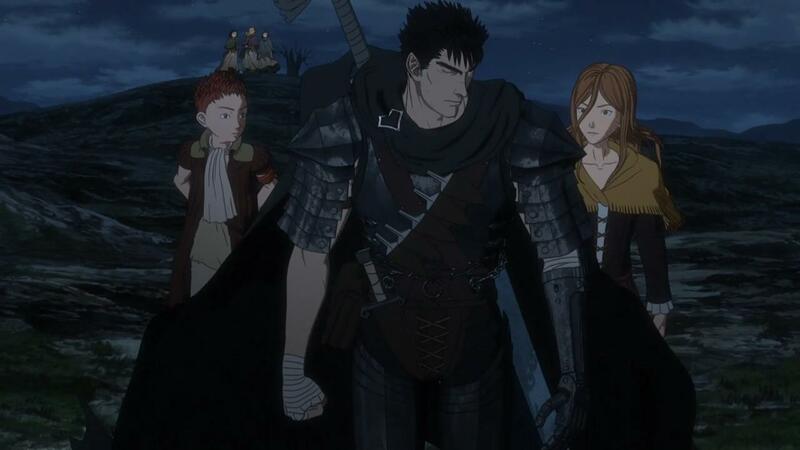 Which, like I said last week, is probably the best we can expect from this 2016 animated incarnation of Berserk. Right now, we’re in what I’d call the middle stage of the Tower of Conviction arc, and we’re already at episode 8. 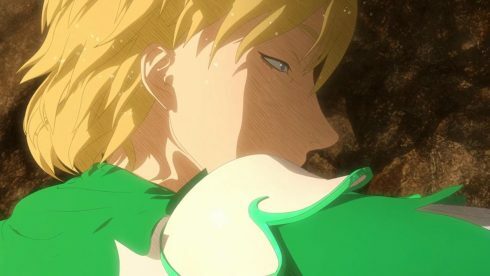 If this series is a one-cour series, then we’re getting pretty close to closing time, with only about 5 episodes left. 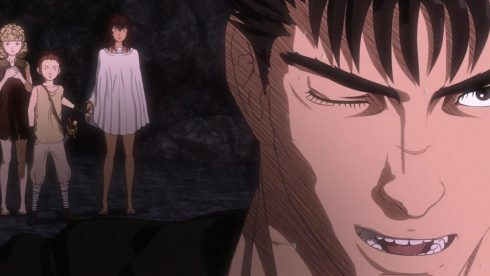 What I do like about Berserk though, is that the story has actually settled into a decent rhythm here. 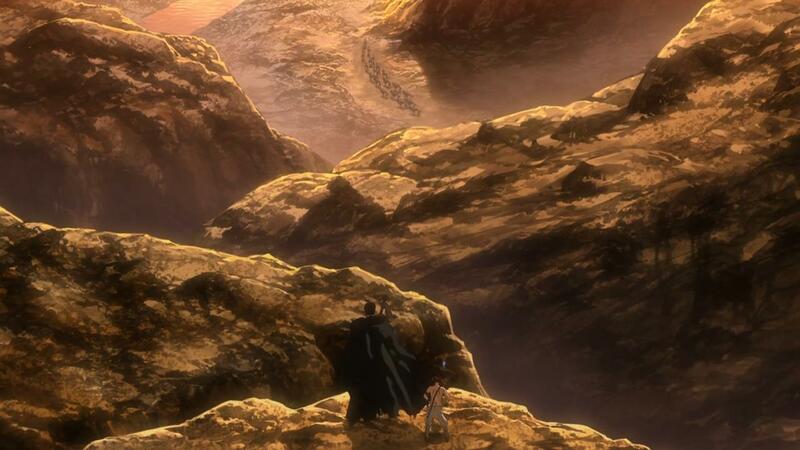 We get one big fight each week, one awesome character moment, and then its setup for the ongoing conflict. 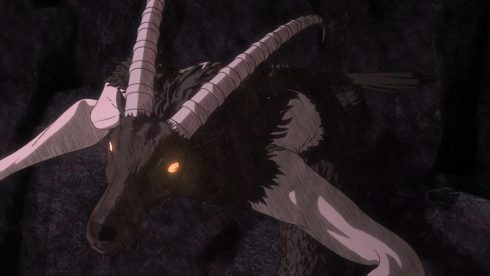 The badass fight sequence this week, is between Guts and the Goat monster that we saw last week. 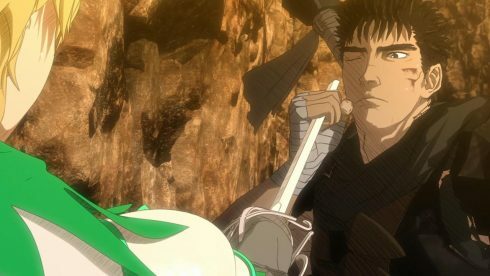 I have to say that this fight is perhaps one of Guts smoothest ones, as he barely takes any damage this week and unloads on the monster with all his new fancy toys and weapons. One of the big differences between the flashback arc, and the current Black Swordsman era, is that Guts has weapons that feel a bit more modern. We’re still very much in the fantasy, medieval-ish era, but it feels like the transition has been made to the point where the steam engine is about ready to come into play. 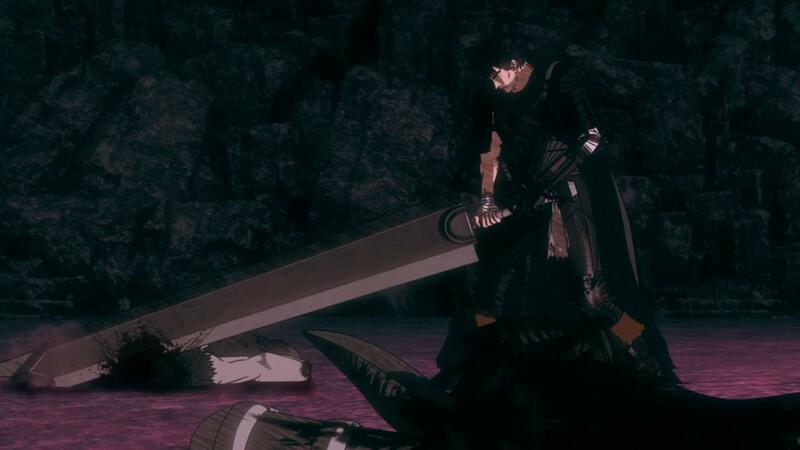 Guts has cranks and arrows and magnets that he’s using, and of course very strong armour and his bigass sword. The fight itself is pretty quick, with Guts basically using his bombs to stun the goathead monster, before lobbing the head off itself. 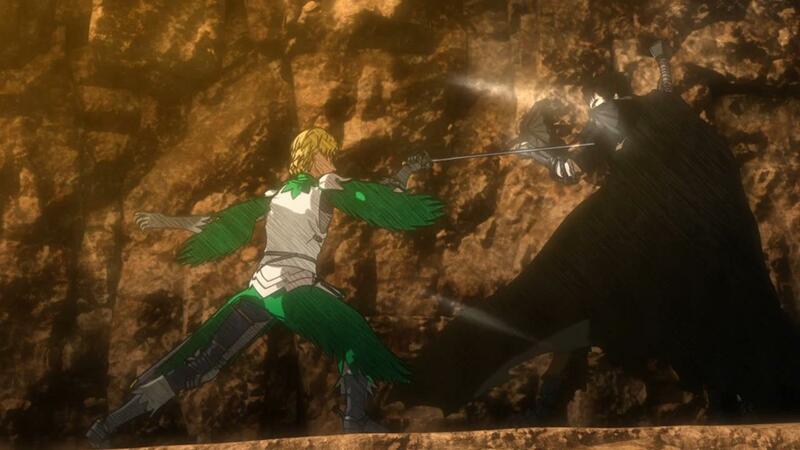 For how meh the CGI is, the fight itself is decent to watch. There’s definitely an over-reliance on slow motion shots, but in the end what matters is that despite the rough look of it all, its fun to watch. And while the goat killing moment in this episode is pretty darn great, the highlight of the episode, and what I’d call this week’s character moment, was undoubtedly the skirmish between Guts and Serpico. 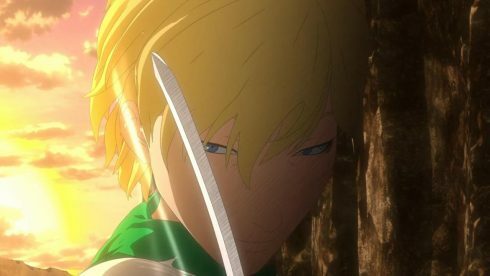 What’s so impressive about every big moment in this episode, including this fight, is that it’s all taken from the manga, panel for panel. Nothing is cut, and everything feels faithfully adapted. 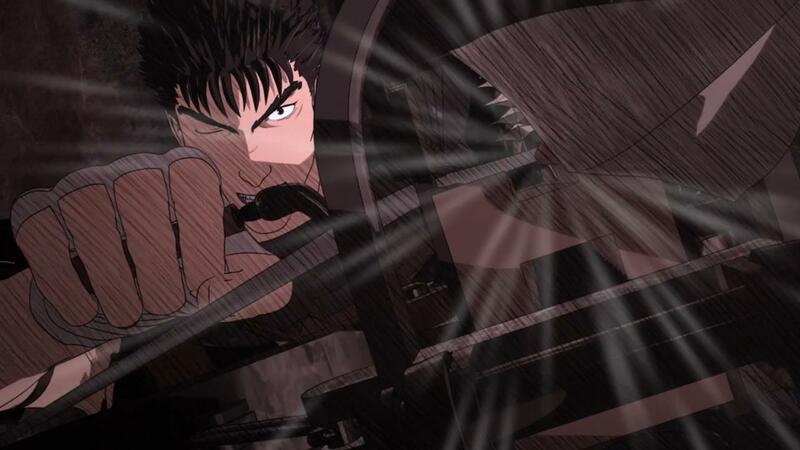 The situation where Guts finds himself at a clear disadvantage, is tense and exhilarating. 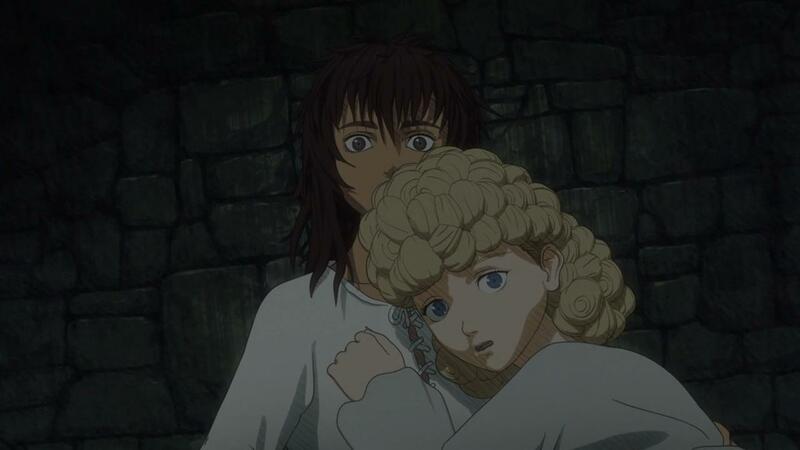 Its from this fight, that you begin to piece together the small bits that make up Serpico. He’s a talented fighter, but what really defines this guy is his cleverness. 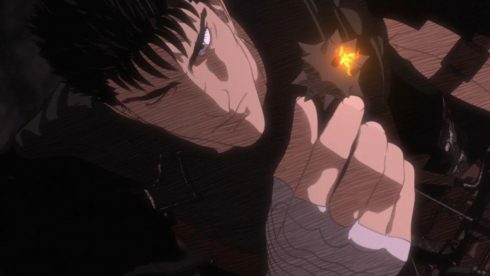 He’s sly and quick witted like a fox, as Guts himself puts, and carefully creates a situation where the odds are stacked highly in his favor. 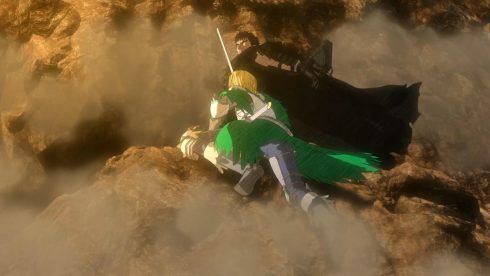 Serpico is definitely no math for Guts head-on, and he knows that, and so the entire situation on the mountain side is his best shot. 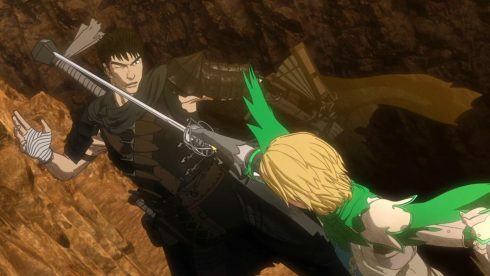 While Guts is able to overpower Serpico through strength, experience and patience, even he admits that Serpico is a force to be reckoned with, and a lot scarier than any demon he’s come across. Which is awesome. I mean, the whole fact that the anime is nailing Serpico’s character makes me, as a fan really happy. For fans like me, its these things that matter a bit more than pretty visuals or jaw-dropping animation. 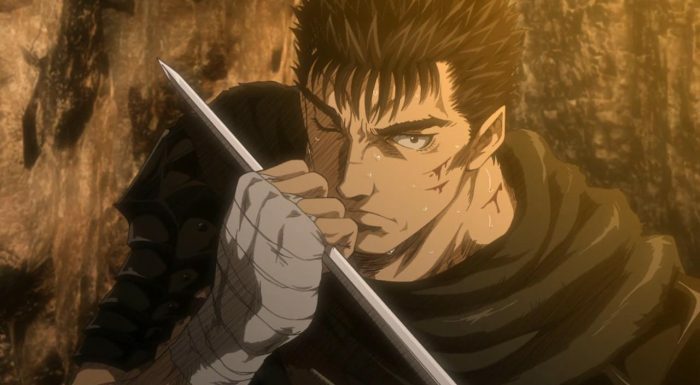 Its the reason Berserk continues to work as an anime series, and why I can’t really call it a flat out failure. 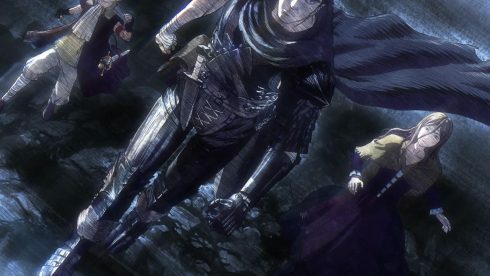 Because for all the knocks against the animation, the visual style and art direction, at least work competently and keep the tone and feel of the source manga alive. Moments like the torture area that Nina gets dragged into, or the dimly lit cell, are executed nicely. Which of course, leads us into where the episode ends. 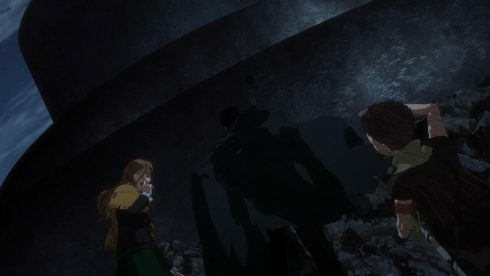 After Nina and Casca get captured by the Chain knights, Gutts with Luca and Ishidoro in tow, heads to the Tower to get her back. 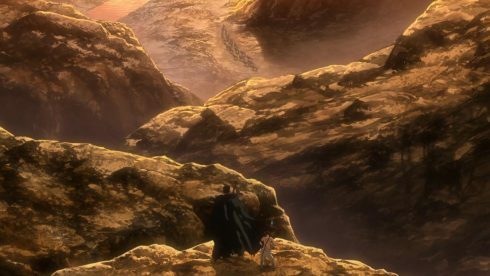 The Tower is obviously where the big things are going to go down, and I’d say that this episode does a nice job of showing how frantic and choatic the whole lead up to that place is. 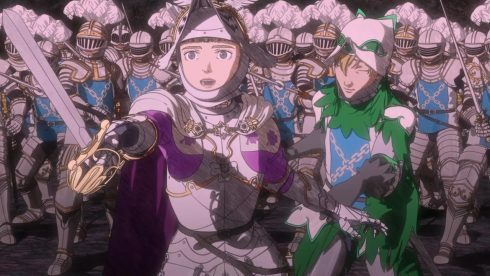 I really don’t have any major complaints about this episode, and I think now that I’ve come to terms with the animation quality of this show, I’m actually liking it quite a bit. Not too great, not terrible, just decently good. 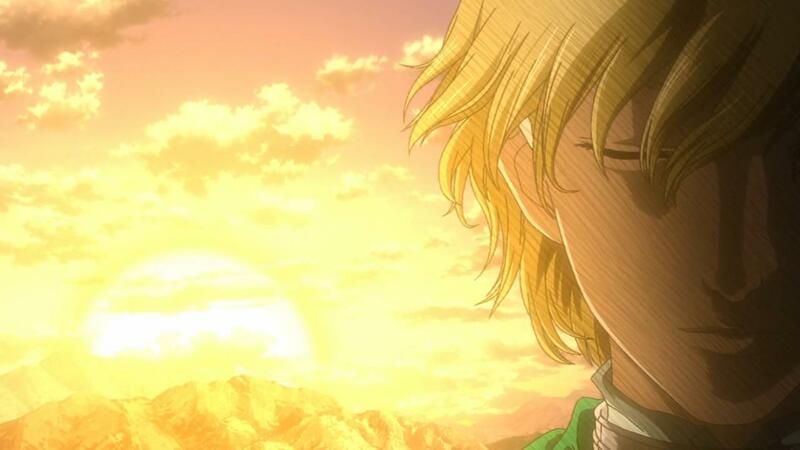 That, is definitely an okay place to be in, especially 8 episodes into an anime series’ run.